Most people take their health for granted. For example, throughout my 20's I was fearless, carefree and never once thought about my health. I even went a few years without health insurance because I assumed that because I was young, I couldn't get sick! Now that I'm in my early 30's and after a medical scare, I no longer take my health for granted. I'm much more conscious of my health, taking preventative measures like check-ups (even when I'm feeling healthy) and listening to everything my doctor tells me. 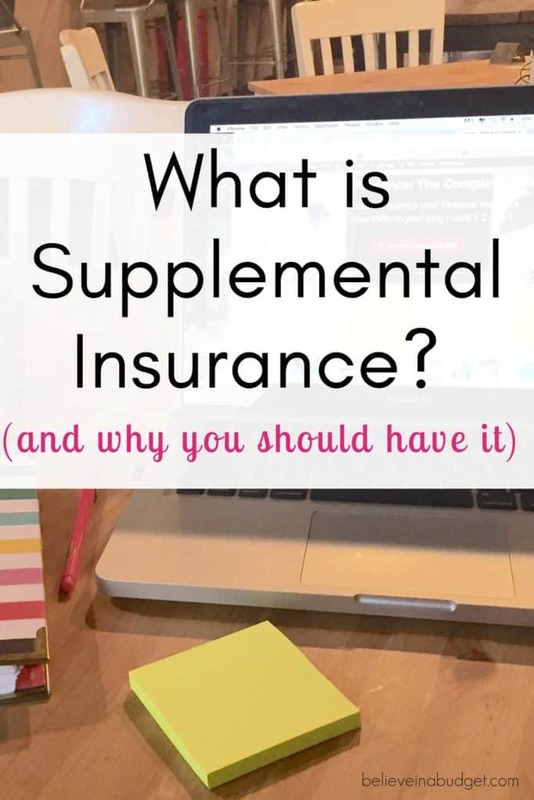 Another area that I've become more familiar about is health insurance and supplemental insurance. In my 20's and new to the work force, I never thought much about what kind of health insurance plan I needed. I usually picked the cheapest option that my work provided because I assumed I wouldn't really use it. Now that I am in my early 30's and have been in the work force for a while, I pay much more attention to insurance policies. When I was at my full time job, I was very tedious when it came to reviewing the three different policies that were available to me. When I made the transition to become self-employed, I had to do even more research to make sure I had the best plan possible with my budget. One thing to consider adding to a health insurance package is Aflac’s supplemental insurance. 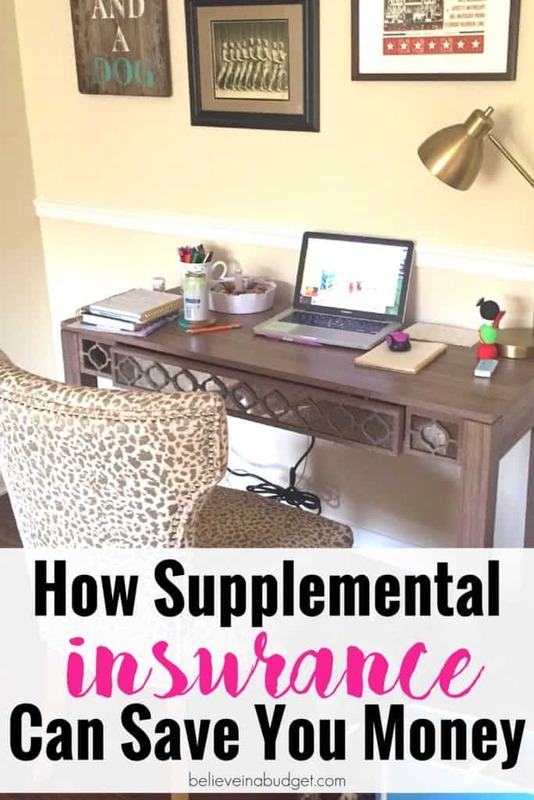 Supplemental insurance isn't major medical health insurance. Instead it's medical insurance that complements your major medical insurance and helps fill the holes you have in your policy. Let's say you get sick and end up at the ER. While at the ER, you end up having to be admitted to the hospital overnight. While at the hospital, you are required to pay a deductible or can ask to be billed. Perhaps you even missed time away from work. When you receive your bill in the mail, your health insurance will have most likely paid a portion of the bill directly to the hospital. Depending on your deductible, chances are you will most likely still owe something. This could be a small amount or a large amount; it just depends on your provider and your policy. Upon reviewing the bill, maybe you realize you can't pay the deductible. Maybe you are struggling to pay your other bills too because you had to miss work while you are sick. With Aflac’s supplemental insurance, Aflac actually pays you cash directly instead of paying the hospital. You can then use the benefit check from Aflac on whatever is required of your situation. This might mean you choose to spend the money on getting caught up with bills, paying off your medical debt, etc. The great thing about Aflac’s supplemental insurance is Aflac wants you to be able to continue living life uninterrupted and not be burdened by medical debt. Many of you know that last year I became sick unexpectedly and had some health issues. I ended up in ICU for a week and out of work for several weeks. At the time, I was still working at my day job and had health insurance. While my work was gracious enough to pay my regular salary for the several weeks I missed work, even with insurance, my medical bills were really expensive and is something I am still paying off today. With Aflac supplemental insurance, Aflac would have been able to help me pay my medical bills if I had their hospital indemnity insurance. This would have come in super handy when I was ill! In addition to paying my regular monthly bills, adding medical debt is an unexpected expense that is very stressful. I am fortunate that my full time job continued to pay my salary. If they had not paid my salary, how would I have paid all of my regular bills? With the help of Aflac’s supplemental insurance, I would not have even had to worry about something like this happening! While no one ever thinks he or she will get sick, including myself, it is easy to take your health for granted! To learn more, you can do two things. First, ask your human resources manager which Aflac supplemental insurance policies are available to you. Or you can visit Aflac's website to learn about all the different types of supplemental insurance available.